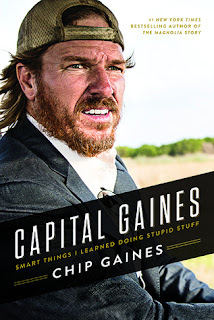 Capital Gaines is a memoir and inspirational story about Chip Gaines and his life including details about the businesses he's run throughout the years. This is not my typical read but I knew I had to try it since I love their show Fixer Upper. The story explains a bit about Chip and Joanna Gaines past when they first started dating as well as some of Chip's childhood. It was refreshing to learn that he's always had a very strong motivation to chase his dreams whether it be playing baseball or being an entrepreneur. It shows a bit of humor on some of Chip's antics and the struggles they've faced along their ways when there were housing market lulls. It pushed home that if you set to mind on something you will find a way through it all, you just have to be determined. I did find it inspirational, more so than I expected and I'm really glad I read this novel. If you're a fan of their show or want to learn more about them I'd suggest getting this book. I plan on getting their other book, The Magnolia Story, from my library soon. 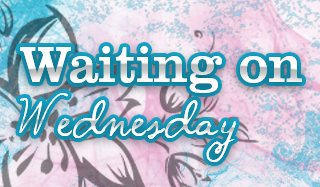 A bit of a change for you. Glad you found it inspirational. Memoir books are very fascinating to read, glad you enjoyed this one.